Flappy Bird is a mobile app video game that is completely addictive. 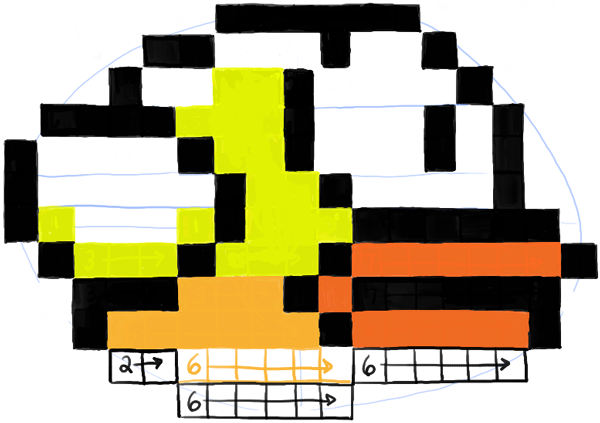 If you want to learn how to draw Flappy Bird with pixels…follow this step by step drawing tutorial found below. 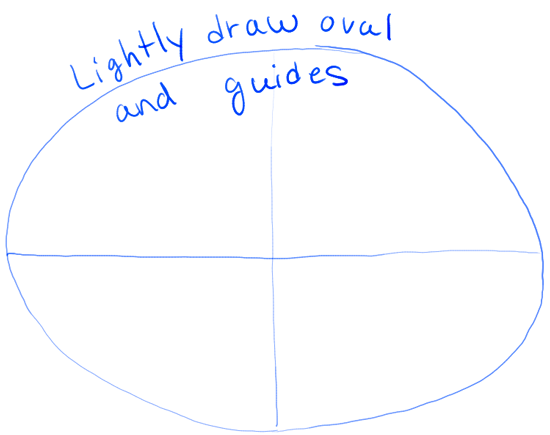 Lightly draw an oval with guides thru the center. 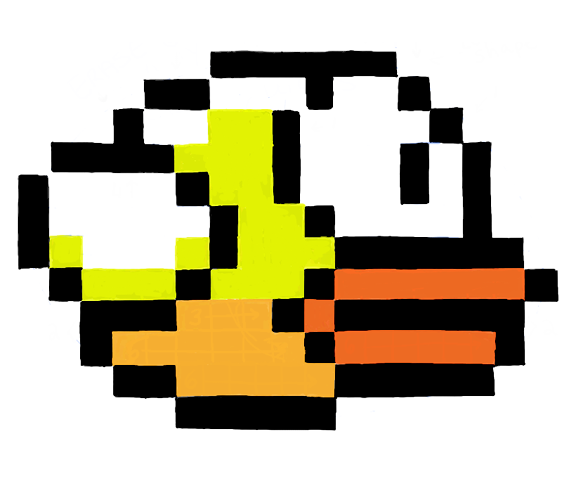 – Flappy Bird is made up of pixels which you can think of as squares. 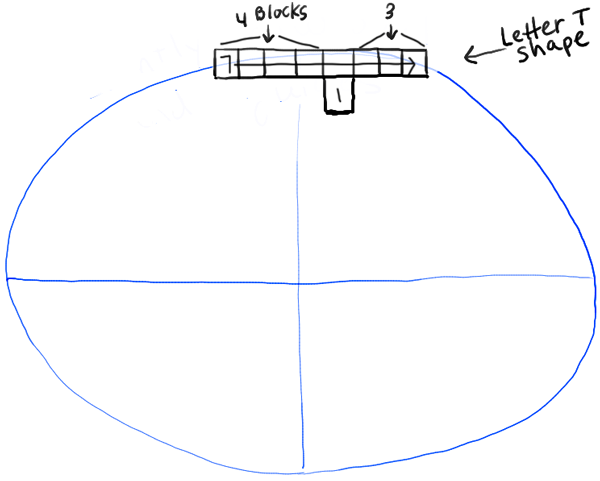 – Draw 7 squares that are a bit off center – towards the right. 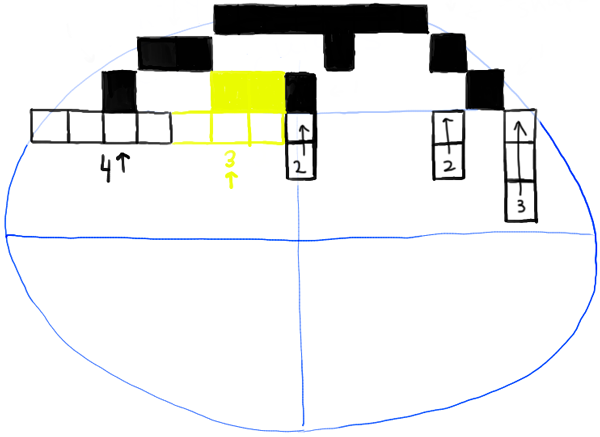 Draw one square underneath … 4 over from the right. – Color those squares in black. 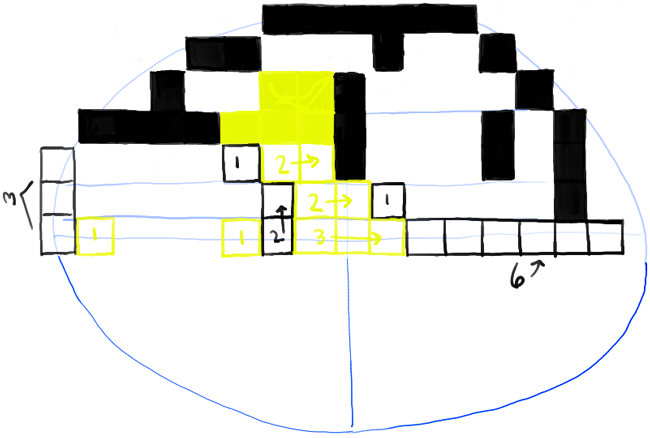 Continue adding pixels. 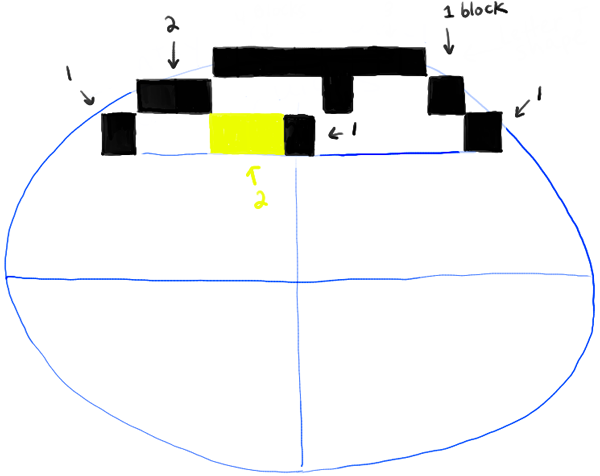 Figure out where to place them by looking at previous pixels you added. 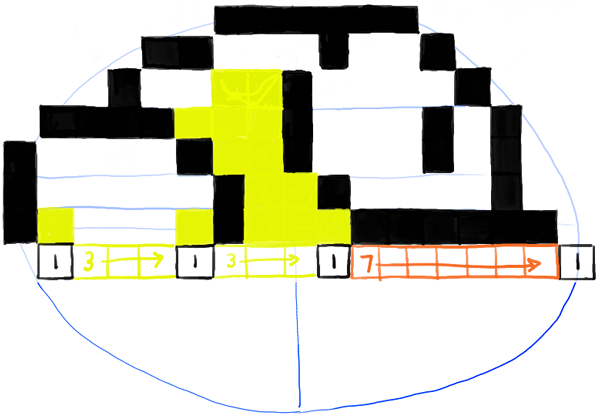 Add 4 black pixels across, 3 yellow across, and 1 black across (2 down)…then there are 4 spaces…the 1 black across (2 down)…1 space…and then 1 black across (3 down). 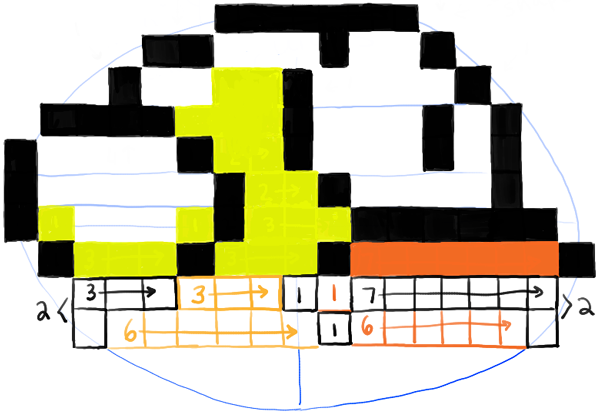 Now you got the hang of it…so continue adding black and yellow pixels. Its starting to look like Flappy Bird. This entire row is filled with black, yellow, and orange pixels. Now we have some light orange pixels too. Now the last 2 rows. 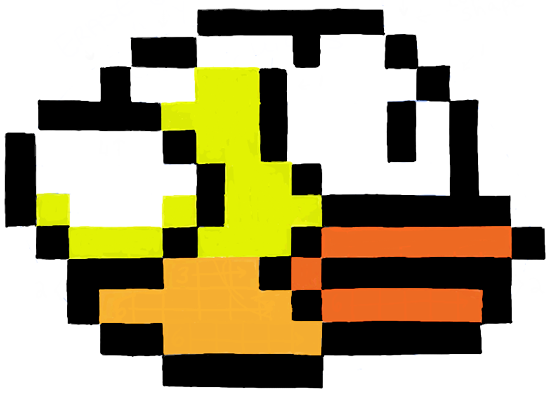 You have now finished your pixelated Flappy Bird. I hope yours turned out great and that you had fun drawing this Flappy Bird. Come back for more tutorials soon. This article was written on 21 Feb 2014, and is filled under Video Game Characters.